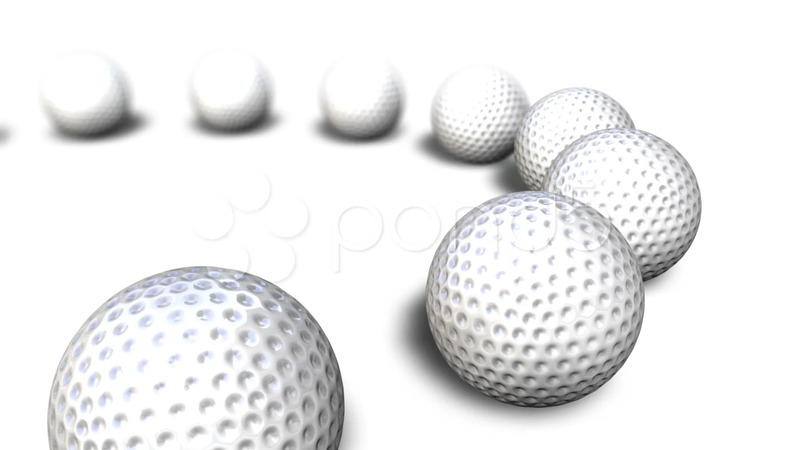 Description: Motion background with rolling golf balls in the circle. Golf balls are on the white background. With DOF.